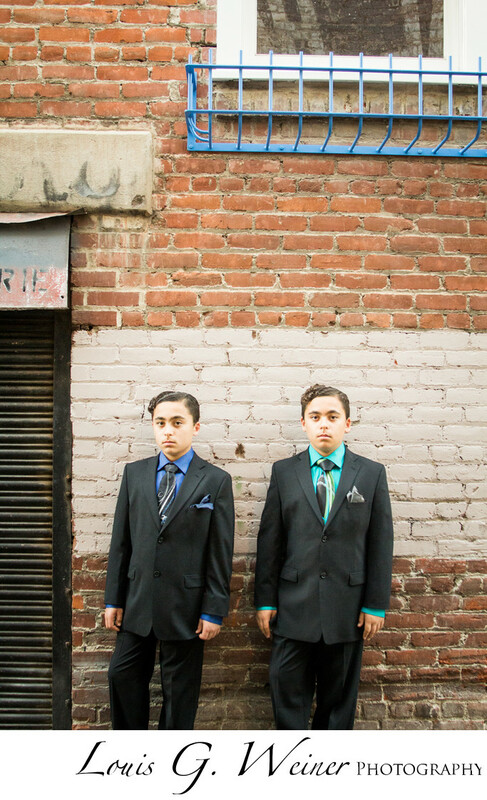 These two young men make a powerful fashion statement in their suits. I love alleys for photography, the natural light bounces so beautifully. B'nai Mitzvah is for two or more young Jewish people coming of age. We did these pre Mitzvah images in the boys home town of Redlands, places that have meaning to the subjects make for more memorable images. Location: Orange Street Alley, Orange St, Redlands, CA.